Septic systems can handle some chemical cleaning products, but using too many chemicals will throw off the bacterial balance inside the septic tank. This can create problems for the system such as clogging, groundwater pollution and leech field malfunctions. The majority of usual household cleaners are safe to use with septic systems in normal amounts. Trouble arises when unusual amounts of the chemicals are placed inside the system. For best results, use septic-safe products as indicated on the label. The clearest indicator that a product is safe for use with septic systems is a label stating that it is safe to use in such homes. The Environmental Protection Agency (EPA) gives each potentially dangerous chemical a registration number. This indicates that the product is safe for home and septic use. Many common household products contain these labels. Any biodegradable or environmentally friendly product is also perfectly safe for use in septic systems. Products containing bleach are safe for use with septic systems in small amounts. Bleach is a chemical that kills bacteria, but when diluted with water, as in most household applications, it is not powerful enough to kill all the bacteria inside the tank. However, it is important not to use bleach excessively, like in all household products, water and laundry detergent, because a high concentration of bleach will damage the septic system. When possible, use alternatives to bleach to protect the helpful bacteria in the tank. You can use Borax in place of bleach for a safer option. Mild detergents, like laundry detergents and any others that can be used without gloves, are generally safe for use in septic systems. Phosphate-free detergents that are low-sudsing are best. You can also use natural detergents. Other all-purpose surface cleaners are also safe. These cleaners do not contain the harsh chemicals that can damage septic lines or the bacteria inside of the tank. Look for cleaners that are non-toxic, biodegradable and non-chlorine for the safest use. Cleaning products containing ammonia, as well as pure ammonia, are also safe for septic system use in small amounts. Ammonia will not kill bacteria inside of a septic system or leach into the ground water, but, just like bleach, it shouldn't be used excessively. Take care not to mix chemicals like bleach with ammonia. Almost any water-based cleaner, such as water-based carpet cleaners, tub and toilet cleaners, and disinfectants are safe for septic use. Water should be the first ingredient on the label for classification as a water-based cleaner. Water-based cleaners do not contain harsh solvents that can damage the delicate septic system. Only liquid drain cleaners are safe for septic systems. Foaming or solid drain cleaners can damage the system and should not be used. However, even liquid drain cleaners may cause septic tank damage if used on a regular basis. Use even a septic-safe drain cleaner sparingly with a septic tank. 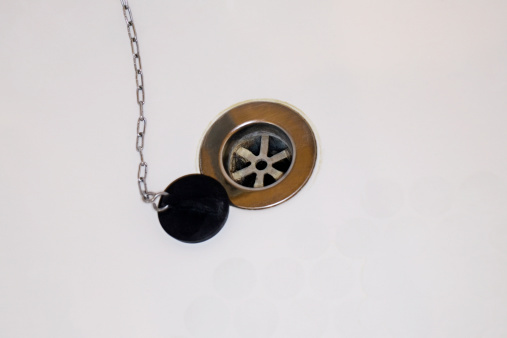 If you have to use the drain cleaner weekly or monthly, you may be causing damage to the system. Even though the list of septic-safe cleaners is fairly long, you may prefer something a little more natural. 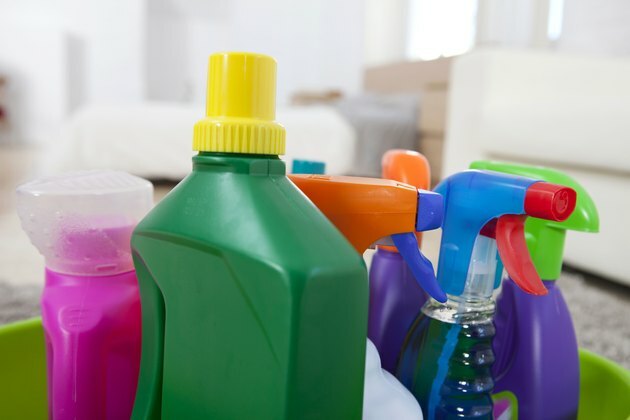 Items you have around the house can double as cleaners that are also safe for your system. Vinegar is one option. It can be used to clean surfaces, deodorize, whiten, brighten and soften items. It works well in the laundry and for cleaning surfaces in the home. Baking soda is another household item used for cleaning. Use it to naturally clean your toilet, or use it to scour hard-to-clean items. Household cleaners safe for septic systems make your life easier without damaging the delicate balance in your tank. Check labels and choose the least harsh options possible for each job to avoid issues.